Report from the North by Al Dronsfield!! 2018 02 27. Another one in the books from Tavares. The weather was warm and wore on many. 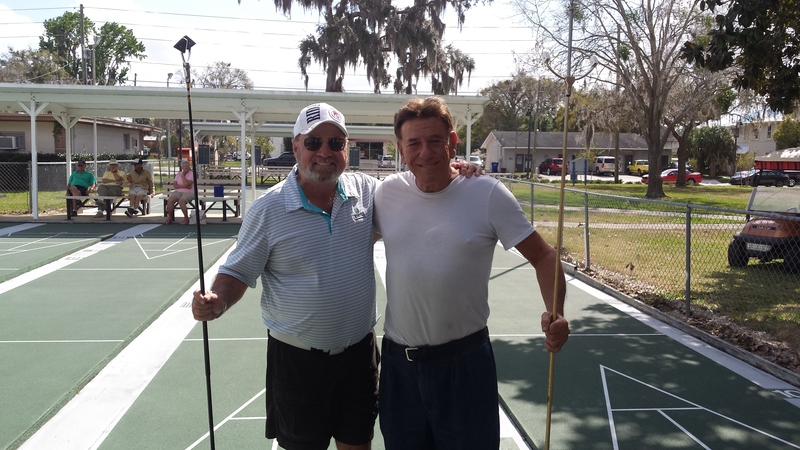 Yes there were also complaints about slow courts, but where else can we go to play shuffleboard and actually get some physical exercise while doing it?? LOL!!! There are certainly slower places around than Tavares we’ve all been to them. I am not sure if the numbers are right but I am seeing that there were 17 men’s teams and 17 ladies teams. Directed by Donna King and assisted by Jack Wooten. There were several sponsors. 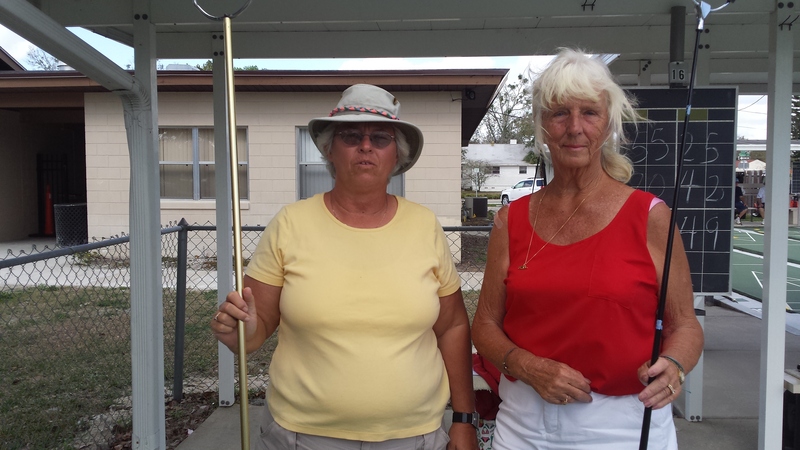 First place in the Ladies main were two first time state winners, Loretta Wadden and Gail Howell, they masterly play their way to the victory. The northern district ladies dominated the tournament by taking all four positions in the main and two in consolation. 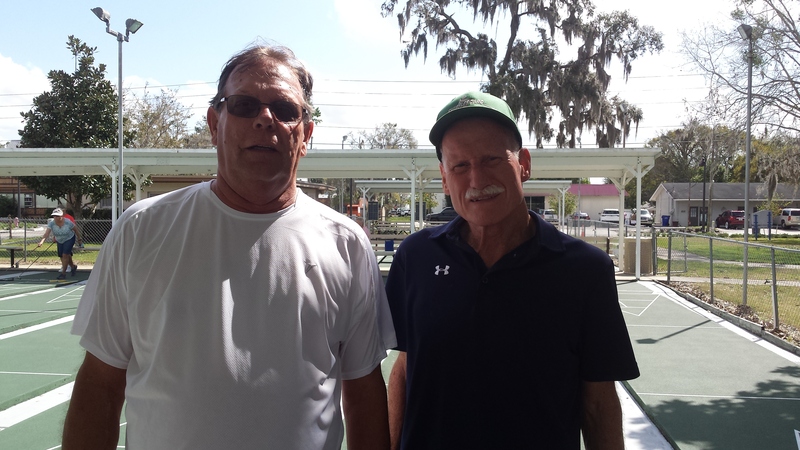 From the men, Allen Dronsfield and his fine partner Ken Offenther manage to pull out the win against the fine team of Mike Seyfer and Dean Myklejord to repeat back to back wins of this tournament and back to back wins two weeks in a row. Allen has been lucky enough to win this tournament four years in a row, twice with Stan Williamson and twice with Ken. However; the northern district men didn’t fair as well as the ladies. Allen in the main, and then two spots in consolation. The central district took places two, three and four in the main and forth in consolation, great job for those that don’t play regularly on rough courts. I heard sighs of relief that they would be happy to be back at Betmar next week. I actually got some pictures this week taking the burden off Stan’s shoulders a little. Thanks for that help Stan for the past and probably the future.